This area is for you, the consumer. Maybe you’ve had an automobile accident. How do you find a shop? 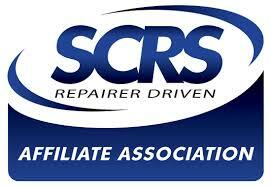 When you choose a member of this association to repair your vehicle, you can relax knowing your repair shop understands that you are the customer and your vehicle being properly repaired is their primary concern. You will have a limited lifetime warranty on your repair. Your warranty will be honored at any member shop in Mississippi. For many years, the insurance industry has used their offer of a warranty to persuade you to choose a repair shop they recommend. This hasn’t always been in your vehicle’s best interest. With a statewide warranty offered by your repairer and backed by his or her peers in the industry, you can feel free to choose a shop based on the shops reputation and recommendations from your family and friends knowing that you can expect a non compromised repair. You can be sure your repair facility of choice is taking a proactive approach to training and education in order to provide you with a repair you will trust and be proud of. The members of the Mississippi Collision Repair Association wish to extend an offer to do a free post repair inspection on your vehicle. If your vehicle has been repaired and you would like an unbiased opinion as to the quality and completeness of the repairs performed on it, contact any member shop to schedule a post repair inspection at no charge to you. Recently a vehicle repaired by a non- member shop was so poorly repaired, the vehicle was deemed a total loss after the poor quality fraudulent repairs were exposed by a member shop making a post repair inspection. Don’t take chances. The inspection is free of charge and may bring you peace of mind. If there are problems, you need to know. Another service of the Mississippi Collision Repair Association. MCRA shops work for you, the owner of the vehicle. Never compromise your safety or your vehicle investment, choose the shop of YOUR choice for repairs. Remember, DRP arrangements benefit the insurance companies . They are not always in your best interest. Choose your shop based on reputation and the experience of your friends and family.